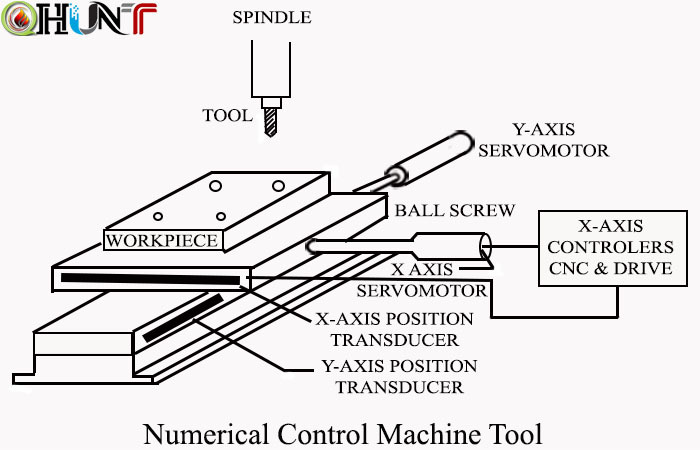 Numerical Control is largely the pioneering works of a man, John T Parsons. In the late 1940s, Parsons conceived a method of using punched cards containing coordinate positions data to control a machine tool. The machine was directed to move in small increments, thus generating the desired surface of an aerofoil. In 1948, Parson demonstrated his concept to the US Air force, which subsequently sponsored a series of research projects at servomechanism Laboratory of the Massachusetts Institute of technology (MIT). The initial work at MIT involved the development of a prototype NC milling machine, by retrofitting a conventional tracer mill with position servo mechanisms for three axes of the machine tool. The first demonstration of the NC prototype was held in 1952. By 1953, the potential usefulness of the NC concept had been proven. Shortly thereafter, the machine tool builders began initiating their own development projects to introduce commercial NC units. Also, some industries, especially airframe builders, worked to devise numerical control machines to satisfy their own particular needs. The Air force continued its encouragement of NC development by sponsoring additional research at MIT to design a part programming language that could be used for controlling the NC machines. This work resulted in the Automatically Programmed Tools (APT) language. The objective of the APT research was to provide a means by which the part programmer could communicate the machining instruction to the machine tool in simple English statements. Although the APT language has been criticized as being too large for many computers. It nevertheless represents a major accomplishment. APT is still widely used in industries today, and most other modern part programming languages are based on APT process.